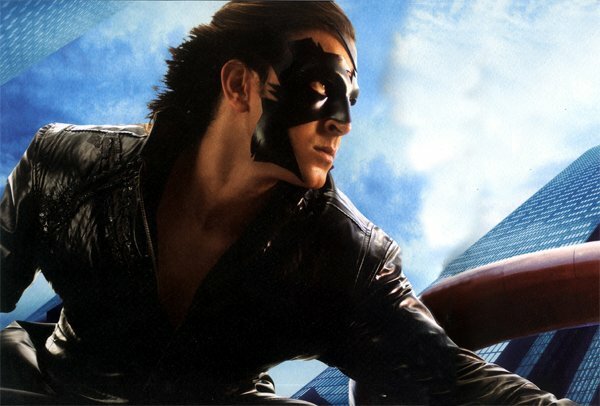 When a masked superhero jumps from one skyscraper to the next, saves lives and suddenly breaks into song and dance, you know that you have arrived in Bollywood! 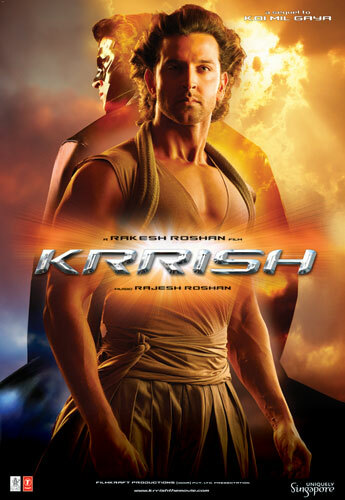 Released in June 2006, Krrish is Rakesh Roshan's sequel to Koi Mil Gaya - Bollywood's first sci-fi movie. Koi Mil Gaya was the story of Rohit - a special boy with special needs, who after making contact with a UFO (Jadoo, meaning Magic) suddenly gains the power to be a 'normal' child like everyone else. Naturally, there was a love interest, Nisha played by Preity Zinta. ...and of course, since this is Bollywood, there is a romantic plot where Krishna falls in love with Priya (Priyanka Chopra) who plays a tourist visiting Singapore - where the film is set. Last week I watched Superman Returns. It was fantastic - I thoroughly enjoyed it, considering the fact that I don't usually enjoy action flicks like that. I think it's awesome that Bollywood has its own superhero. And who better to play it than my #1 hunk, Hrithik Roshan! I can't wait to get my hands on the DVD when it releases. about the leading lady in this film, priyanka chopra (not one of my favourites) but this is the first time the two are being paired on-screen. so that's also something else to look out for. is the chemistry there or not? this should be interesting, i always imagined Hrithik as a man in the office, clean cut, arrogant (in a nice way. so for him to take on a superhero figure blows me away, this i would like to see. atleast they keep the romance aspect of it otherwise i would not be thinking of watching it. i mean what is Hrithik without love...infact we are all nothing without love. colleta, i hear u! he looks like a husband i'd like to have one day - neat, clean cut, wearing a suit and tie sitting behind a desk! aaah, the fantasy lingers on! Was this film even a HIT? I didn't hear much abt it after, but maybe.......? a hit, even a semi hit ? but good luck to bollywood in the "phhuture"